Q: Are your rings comfort fit? Clean and Simple, I love it. Super fast shipping! Love this ring, love everyone who helps me when I call in. Thanks guys!!! Love this ring! My husband has the matching in the 5mm size and loves as well. This ring is comfortable, durable and can be worn doing all the household chores while still looking great! It is beautiful. Love this product and will never order another ring from anywhere else. You cannot beat the look or price of this product!! Great products and more importantly great service. I had to get a different size and all process was flawless. Looking foreward to future business. I was beyond impressed with Tungsten Fashion's customer service when I purchased my ring. They were super flexible and even reached out to me on their own to make sure my special requests were met and to help me get my ring on time for my wedding. I've never experienced customer service this good. They let me try the ring on first and then exchange it for a different style when it didn't match my engagement ring. There was no exchange fee like other stores have. I was very happy with the quality of my ring and the engraving. 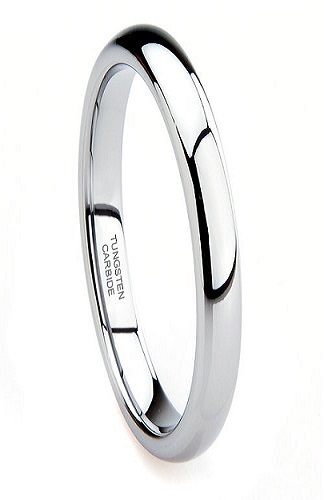 I searched all over the internet for good quality tungsten carbide rings at a good price, and this is definitely the best I found, even if other companies provide free engraving. Perfect fit. Friends notice ring & asked where from, when I tell them they are amazed. Highly recommend your company.